Jennifer Pennell is a play and meditation specialist who helps women re-learn how to play, through private coaching and guided workshops. She was raised in Singapore and now lives in San Diego, with her husband and two teenagers. Her love of travel has taken her family on road trips along the California Coast, and to New Zealand, Australia and Argentina. When not traveling with family, Jennifer encourages her girlfriends to join her on trips near and far, where she gives herself permission to be fully + joyfully + creatively alive. Check out upcoming Inner Wild Events in her hometown of San Diego, or learn more on her website Shinelevity. Let's leave North Country, everything North of Del Mar, for another time. Year-round. The weather is mild, it rains very little and is sunny most days. I would avoid June, as the marine layer can be thick and lasts all day. It really only gets hot in August and September but be warned the ocean is never warm. March gets the most rain, but it's still worth coming, if that's your window. Most people arrive via the San Diego airport, which is conveniently located on the harbor, 10 minutes from downtown. It's there I would suggest you rent a car. If you are already in California, consider taking Amtrak, as the Surfliner is a great way to travel to San Diego. Amtrak's coastal train offers stunning views en route and stops in most of the major shoreline neighborhoods. I suggest you bring a cooler, pack a lunch or a bottle of wine for the trip. Don't attempt to fly into Los Angeles and drive down to San Diego. The drive is far longer than the mileage suggests. If you want to stay on the beach, I would suggest staying in La Jolla at the La Valencia or the La Jolla Shores Hotel. There are great Airbnb options in the area, as well. If you want a family-friendly hotel with a view of the harbor, stay at the Kona Kai in Point Loma, a quick 10-15 min drive from the airport. If you are looking for a more urban stay, try the La Pensione Hotel, a boutique property in the heart of San Diego's Little Italy neighborhood. Getting in and out of La Jolla in the summer can be difficult but worth it, know this if you are staying in this area. It's good to know when planning your trip, if you want to traverse the city or prefer to spend your time relaxing in one area. Spend time by the ocean. La Jolla Shores is a 'must go to' beach. It is perfect whether you are a lounger, a boogie boarder or surfer. For the aspiring surfer, take a lesson from Surf Diva, a female run surf school, just a few blocks from the beach. Alternatively, Windandsea Beach is quite beautiful. It takes more effort to find, as it's tucked into a neighborhood. It is an expert surfing spot, not great for swimming, but my kids love to body surf there. If you are not into surfing, you can rent stand-up paddle boards in near-by Mission Bay. There is also great snorkeling and kayaking in La Jolla cove, a mile down the coast. Check out Everyday California's various tours and explore La Jolla's Ecological Reserve including the seven sea caves. One of my favorite activities in La Jolla is hiking at Torrey Pines State National Reserve. You can walk along the cliffs down to the water. On your drive back into La Jolla, I recommend you stop at the Lodge at Torrey Pines for a drink. While surfing at La Jolla Shores, I've had dolphins pop-up right in front of me. In Point Loma, I love the Liberty Public Market. Go browse the market for local goodies and stop at Stone Brewing Company for a beer and some bocce. I would also suggest making the trip out to the lighthouse at the Cabrillio National Monument, a historic San Diego landmark. Follow the two mile trail for picturesque city and harbor views. There is even a spot to whale watch if you happen to be visiting in January or February. It's also important while in Point Loma, to see the sun go down at Sunset Cliff Park. Don't forget a sweatshirt. For a little edgier feel, head to Ocean Beach where you will find the longest pier in CA. 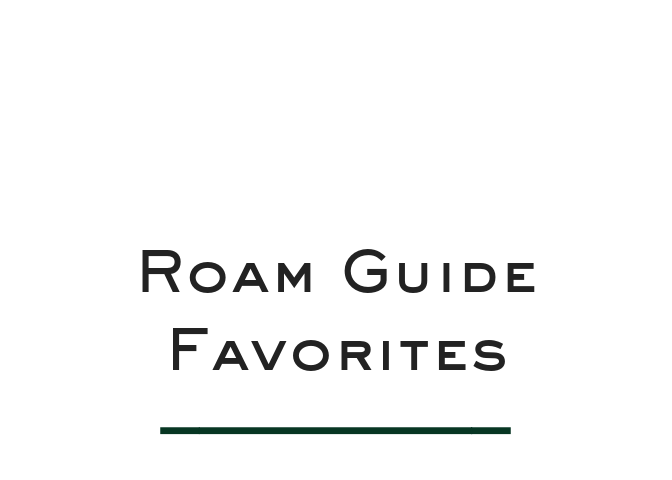 Full of antique shops, tattoo parlors, micro-brew pubs, dive-y coffee shops, and good food. This is another great place to watch the sunset. Rtip: If you prefer to take in the ocean from the water consider a full harbour tour with Flagship Cruises. In Downtown, roam the gaslight district for historic architecture and boutique shopping. Here, you can tour the historic Davis-Horton House during the day or sign up for an evening paranormal tour. The gaslight district offers a few great restaurant options such as Cafe 21 for brunch and the Monkey King for excellent Asian Fusion. It may seem obvious, but when you are in San Diego you should visit Balboa Park, established 150 years ago. Home of the World Class, San Diego Zoo and many museums. A family favorite here is the Fleet Science Center, open-year around with interactive exhibits. When exploring downtown, take an Uber , find when of the many colorful pedi-cabs, or grab a Lime bike. Download the app and you will find them everywhere. In La Jolla, I like to have breakfast at Caroline's Seaside Cafe, a lovely spot on a bluff overlooking the ocean, then walk the length of the beach. Go early and look for dolphins. Head to The Marine Room for a fancy dinner or just to grab a drink . They have floor to ceiling glass windows and at high tide you can watch the waves crash on the building. In Point Loma, my family always chooses Point Loma Seafoods, we sit outside on a bench and eat whatever they have caught fresh on-site. It is very casual and offers a great view of the harbor, you can watch the seal pups pop-up from the water during dinner. Another great spot in Point Loma is Brigantine Seafood and Oyster Bar, the fish tacos are the best! Local secret, Ortiz's Taco Shop is a great place to stop for a quick, delicious meal. It's a hole-in-the-wall, and a little out of the way, but the Surf and Turf burrito is to die for. Rtip: If you are big into Mexican food, this border town has a lot of it. Check out, Curadero street food in the Gaslamp Quarter or Las Cuatro Milpas, a little SE of there. Neither will disappoint. In Downtown, I eat in Little Italy. If you are in the mood for Italian, try Bencotto or grab pizza by the slice at Landini's Pizzeria. If you are looking for something a little fancier, I suggest Juniper and Ivy, a crowd favorite with locally sourced ingredients. Or try the award-winning Herb & Wood- where you can also get a great brunch. Looking for low-key, causal and yummy? Go to The Crack Shack, sit outside, play lawn games and enjoy some amazing fried chicken. If you need a pick me up while strolling through Little Italy stop by Bird Rock Coffee and order a latte. If you’d prefer an afternoon beer, Ballast Point, Little Italy is a great place to enjoy a pint on the patio. Rtip: Contributor Kristy Wesson recommends both Barbusa Italian as well as the Kettner Exchange for happy hour on the roof top lounge. North Park, is where the locals go if the beaches are crowded. A trendy, eclectic neighborhood, located Northeast of Balboa Park. There are lots of great places to eat and drink in this area. Satisfy your sweet tooth at Nomad Donuts, or "get your matcha on" at Holy Matcha, where it's likely you too will ditch coffee in favor of this powdered green tea. Other hot spots include Urban Solace for brunch or Modern Times Flavor Dome for a taste of SD's craft beer scene. No matter where you are staying, you should take a ferry from Little Italy to Coronado. Rent a bike from Bikes & Kayak Tours at the Ferry Landing Shops and spin around the island or cruise the Silver Strand Beach. Make sure to stop at the historic Hotel Del Coronado and have a drink. Overnight stays at the hotel can be quite expensive unless it's shoulder season (October or March). If you just want want to spend a little more time on this lovely island, you can purchase a lounge day pass to take advantage of the resorts amenities. Holy guacamole, San Diego produces more avocados then any other place in the country. Considered the avocado capital of the U.S., it produces 40% of all the avocados in California. Check out H&B's GuacShac at all the local farmer's markets. I don't shop much but California has some great surf shops. South Coast Wahines is my favorite, right by the Ocean Beach pier. You don't need much. Beach wear and layers. You may find yourself changing three times in a day, from a t-shirt to sweatshirt to a swimsuit. San Diego is a casual city and the preferred footwear is the flip-flop. If you are in need of a hat, Janessa Leone makes some fantastic packable hats. Click here to see everything Jennifer recommends in San Diego. What are we missing? Tell us your favorite San Diego finds in the comments below.